If you’re looking for a creative way to tell your folks they’re going to be grandparents, who better to take your inspiration from than comedic genius Jimmy Fallon? This daughter and her partner revealing their pregnancy via a Fallon-inspired lip reading game will make you laugh, and then cry. Pretty much all the feels. Alexa Goolsby thought it would be fun to use The Tonight Show’s hilarious ‘Whisper Challenge’ to tell her parents she’s expecting. 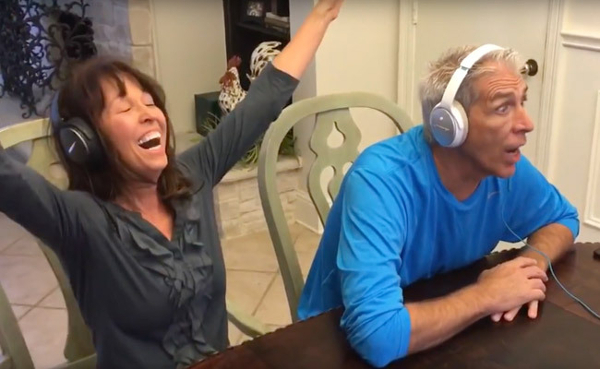 The game involves lip reading, so she got her mum and dad to put on headphones and listen to loud music as she and her partner tried to reveal their secret. When he does finally hit the nail on the head, he’s obviously overjoyed. We just love seeing people so excited about a new baby coming into the family!